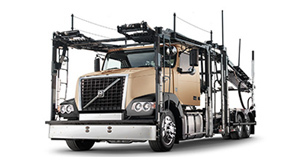 An automated liftable axle that gives your business a lift. 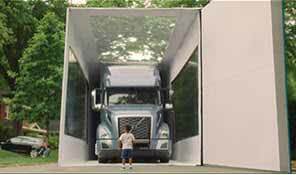 Drivers can lift their trailer a full 2 inches above normal ride height with just a flip of a switch from inside the cab. This makes it easier to raise the landing gear, providing the driver a much quicker takeoff. 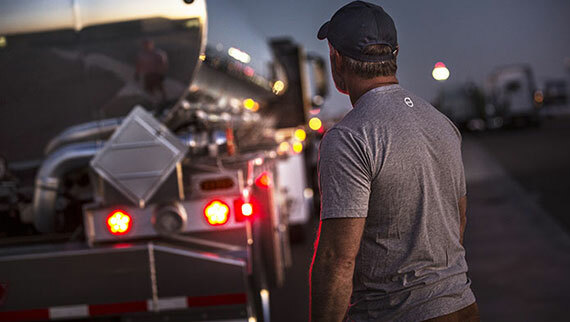 Basic Traction automatically stabilizes your trailer during loading and unloading—improving handling and extending component life to keep your trucks moving forward. Enhanced Traction automatically provides unmatched startability and optimizes grip and safety in steep grades or hazardous conditions—keeping your drivers safe and your trucks on the road. 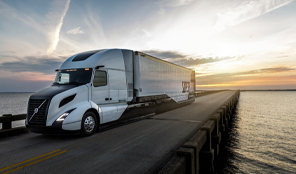 With diminishing loads, a majority of cargo weight is automatically transferred to the drive axle to provide better fuel efficiency and improved tire wear—strengthening your bottom line and giving you peace of mind. 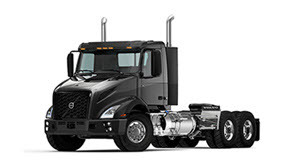 For an empty trailer, the lift axle automatically raises off the ground—giving your 6x2 the fuel efficiency of a 4x2. That’s the power of Volvo's integrated innovation. The new D13 with Turbo Compounding captures and harnesses energy typically lost through the exhaust to recover lost horsepower and improve fuel economy. 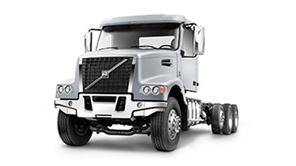 For heavier loads and steep grades, your engine will have ultimate performance with a higher torque rating. 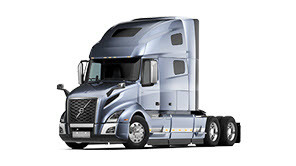 On flat terrain, top fuel efficiency is achieved through a lower torque curve. Automatically run in a lower torque curve in starting gears and full torque in the top five gears. When driving in the engine’s sweet spot, you’ll see fuel savings of up to 3%. 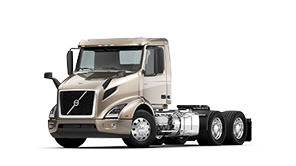 Choose between a direct or overdrive driveline, lock speed limits in the top two gears, and reduce gear hunting in tough winds and hilly terrain for savings up to $1,800 per year.